For JADE's Arachnophobia Campaign, I created this map so that my players could get a better sense of where they were in the world. 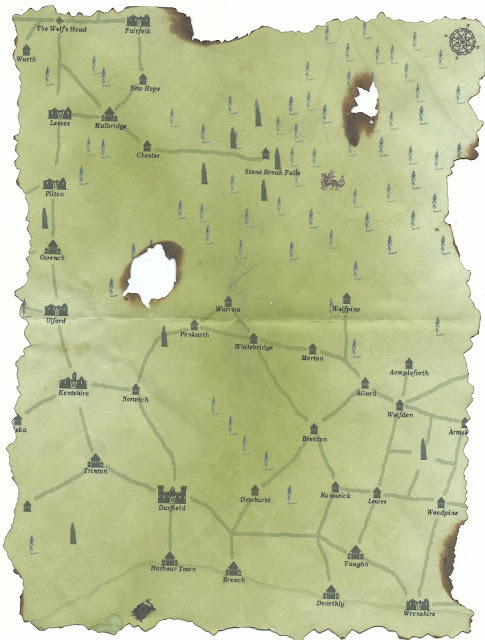 Dave's character Thomas the Chronomancer purchased this chart from a cartographer in Malbridge, and it has come in handy for them in plotting their course among the densely populated Grayland Plains and Coast. Stamped by the Map Maker's League's Seal of approval, With Tom navigating it has yet to steer them wrong, However Thomas never thought the map was "rustic" enough, and so one night while camping, he took a stick with a red hot ember from the fire and seared the edges; burning a few holes here and there where it didn't obstruct any information. Thomas then scrawled his name on the back of it marking it as his own. 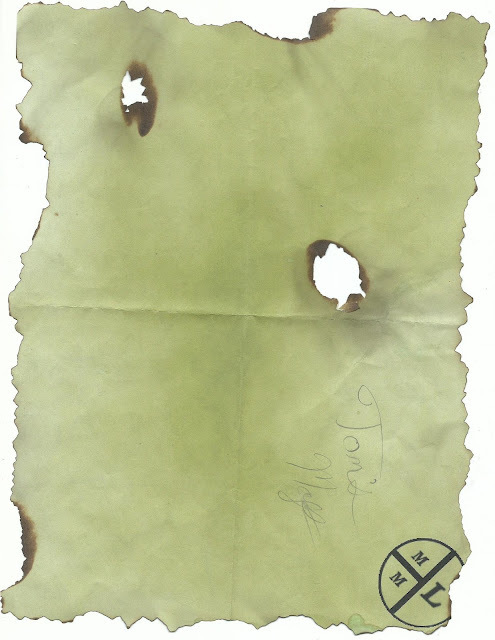 Hence, this is Tom's Map and he burnt it himself. In reality, a couple sessions after I gave Dave the map, he took a lighter to it to give it some character, and the in game explanation was simply fitting to his Chaotic Neutral Wizard personality. Do you ever give your players Maps or other Player Aids? At First Dave wasn't really using the map but as their course become less clear he and the whole party turned to it to chart their course to Darfield.